If you are a fan animated movies with dark undertones then you should be getting really excited right now. 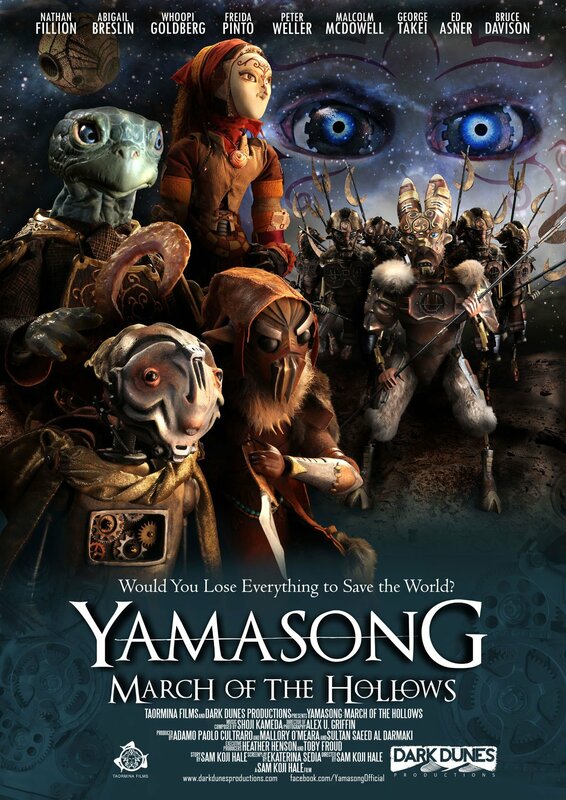 Yamasong: March of the Hollows is a new film from Dark Dunes Productions with a very Pan’s Labyrinth or Dark Crystal feeling about it. This upcoming adventure tells the story of a warrior and an automaton on an epic quest to stop an evil robotic army. You can watch the trailer for the original short film below, but for the trailer for the full-length release you have to visit Dark Dune’s Vimeo page. It includes a glimpse at several of the voice actors at work including Nathan Fillion, Whoopie Goldeberg and Ed Asner. Have I got your attention? Subscribe to For Whom the Gear Turns (see below) to get the first look at an exclusive, behind-the-scenes video of the making of Yamasong before the release! Like my reviews? Check out more cool stuff at my website!